Spc. Allison Schlegel, an intelligence analyst with Headquarters and Headquarters Company, 58th Infantry Brigade Combat Team, lifts weights as Spc. 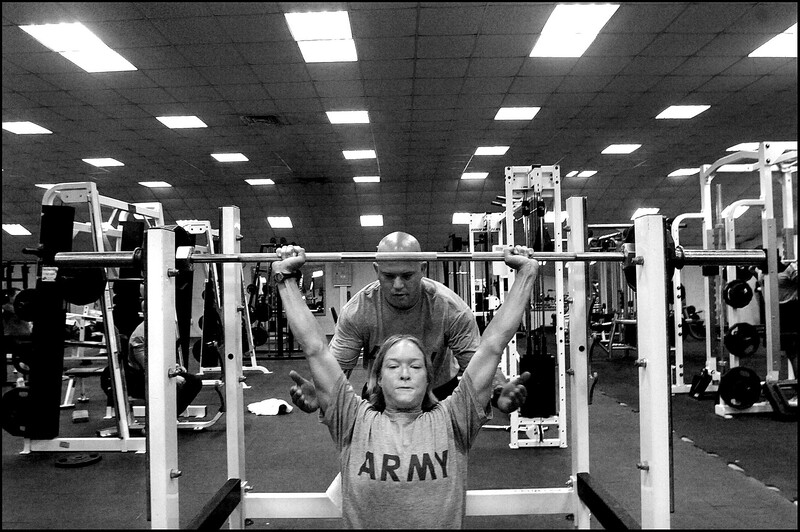 Corey Pyle spots for her at the gym at Camp Victory, Iraq.